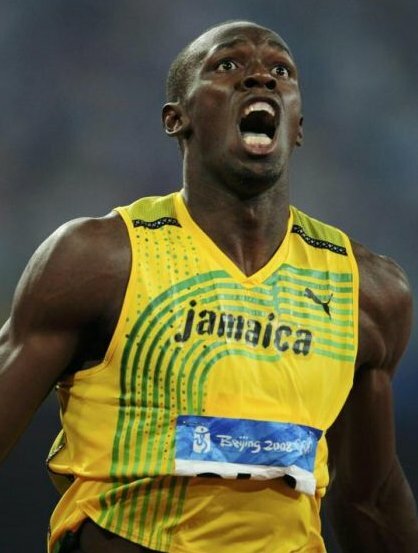 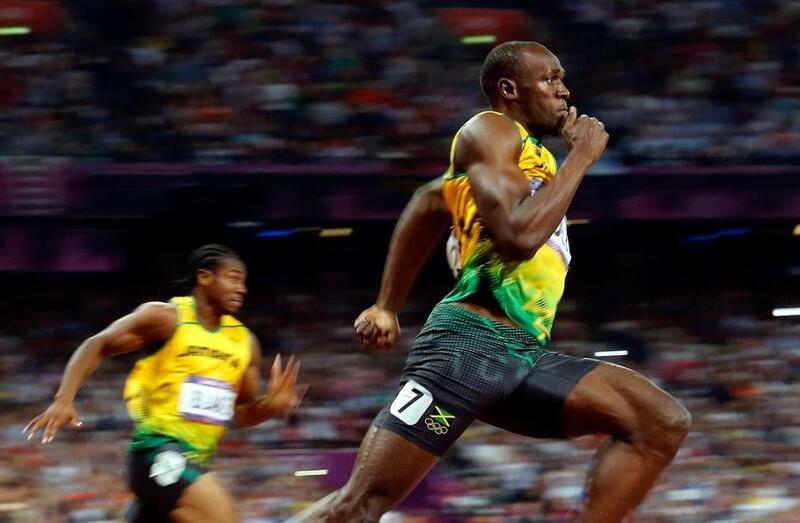 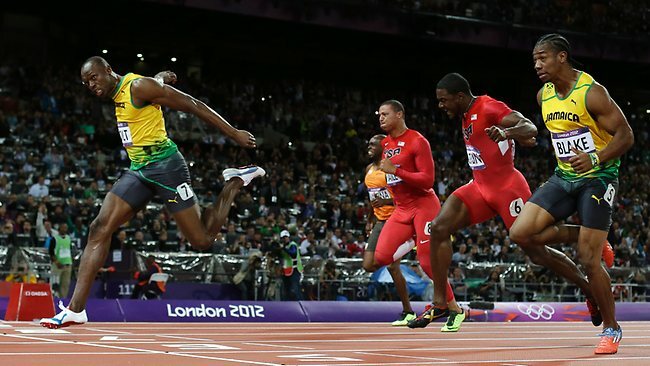 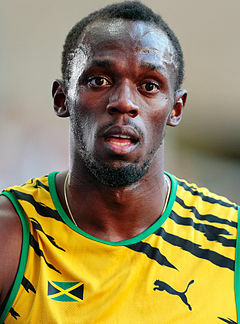 Usain St. Leo Bolt OJ CD (born 21 August 1986) is a Jamaican sprinter. 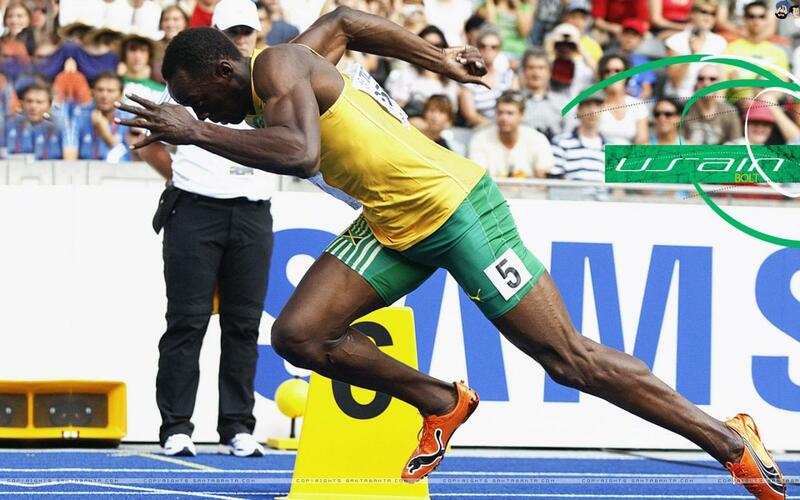 Widely regarded as the fastest person ever, he is the first man to hold both the 100 metres and 200 metres world records since fully automatic time measurements became mandatory in 1977. 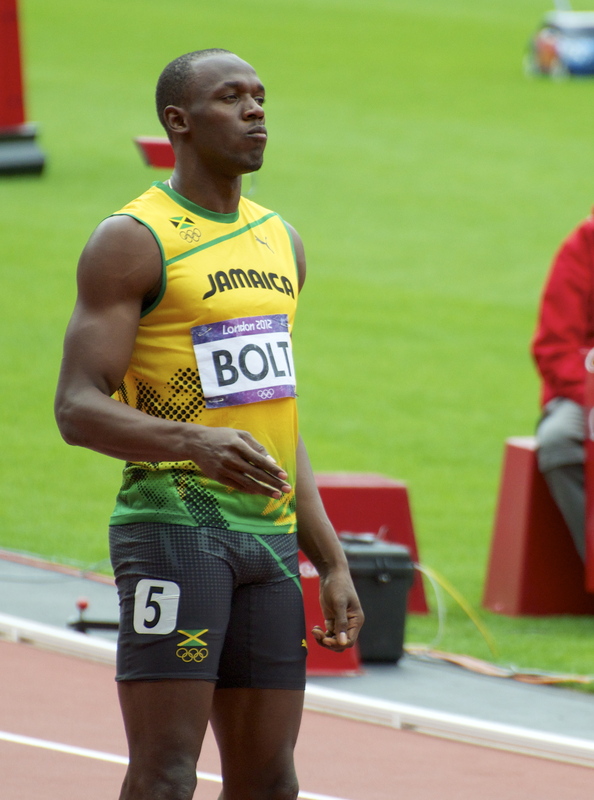 He is the reigning Olympic champion in these three events, the first man to win six Olympic gold medals in sprinting, and an eight-time World champion. 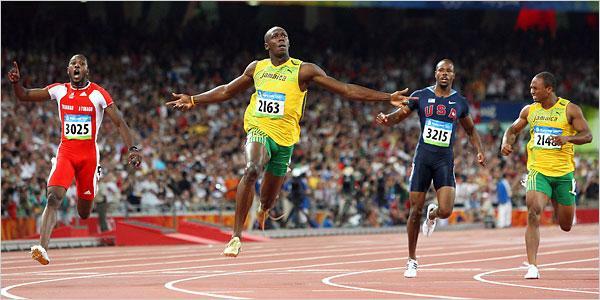 He was the first to achieve a "double double" by winning 100 m and 200 m titles at consecutive Olympics (2008 and 2012), and topped this through the first "double triple" (including 4×100 m relays). 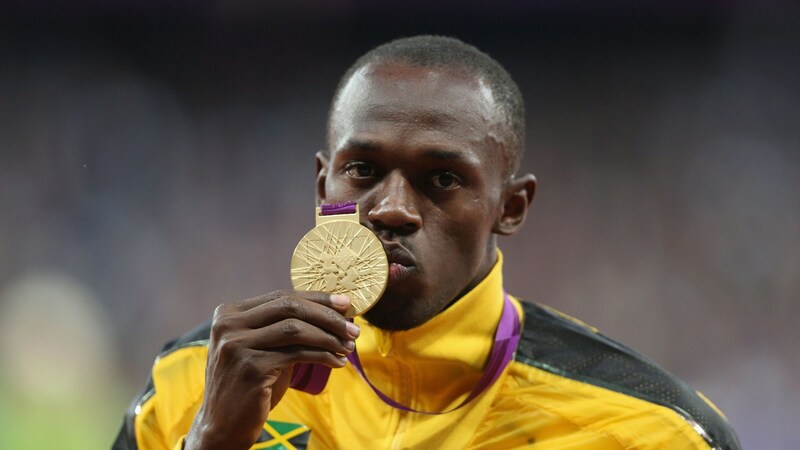 Although gaining worldwide popularity for a sprint double victory at the Beijing Games, Bolt has had more victories as a 200 m runner. 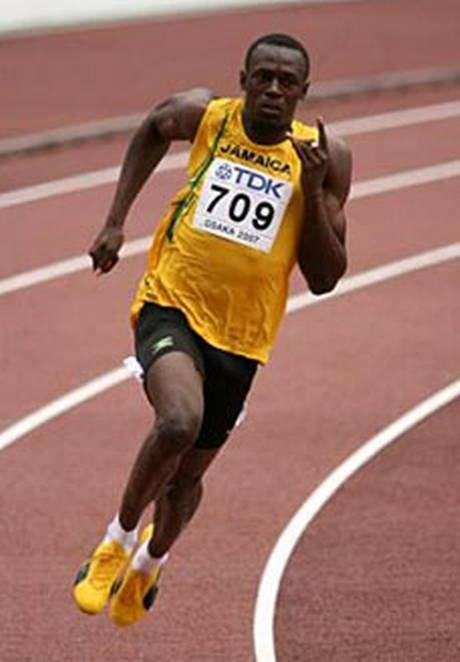 While he had not won any significant 100 m title prior to the 2008 Olympics, he had won numerous crowns in the 200 m event at the youth, junior and senior levels. 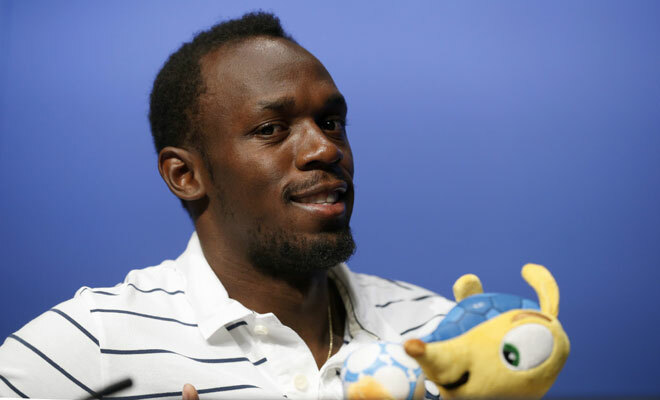 Further, at the 2013 World Championships in Moscow, Bolt completed a hat-trick of 200 m world titles by winning his third straight gold in the event. 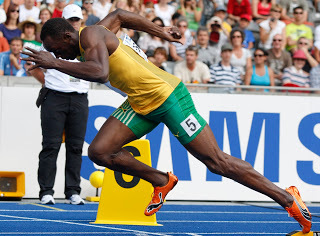 His 2009 record breaking margin for 100 m, from 9.69 seconds (his own previous world record) to 9.58, is the highest since the start of fully automatic time measurements.